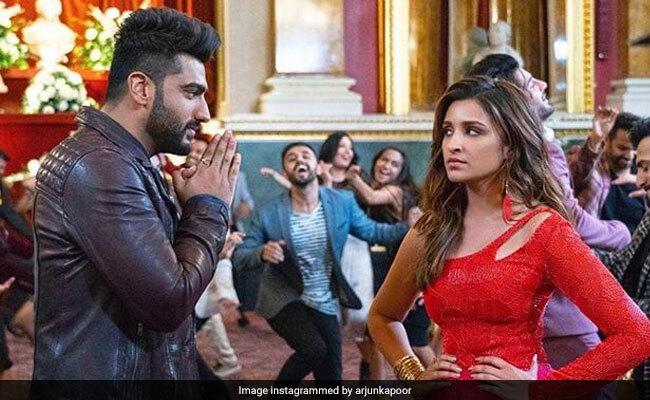 Namaste England Movie Review: One more film of this quality and the careers of Arjun Kapoor and Parineeti Chopra could be in grave jeopardy. An insufferably infantile drama about a married couple separated in the silliest of ways owing to the woman's desire to settle in London and get started there as a jewellery designer, Namaste England, produced and directed by Vipul Amrutlal Shah, steers clear of any semblance of logic. No scene, line or moment in the film makes any sense at all. It scrapes the bottom of the barrel from the very outset. But if you think that it can't get sink any lower than that, you'd only be underestimating the film's penchant for unalloyed bilge. Namastey London (2007), starring Akshay Kumar and Katrina Kaif, was no great shakes either, but it did have a few passages that were genuinely entertaining. Namaste England has none. The lazily scripted film is aggravated by rank bad acting. 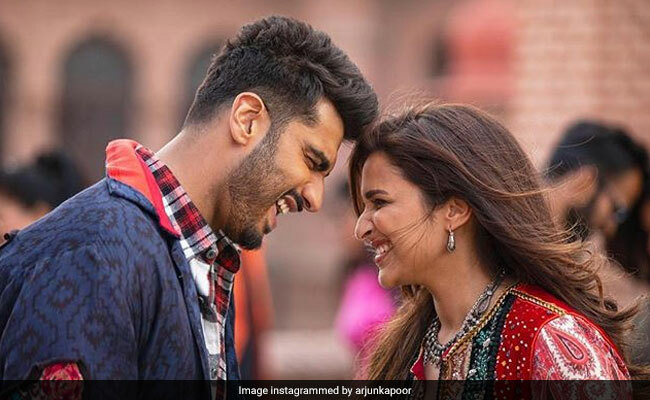 Neither Arjun Kapoor nor Parineeti Chopra, together on the big screen for the first time after the infinitely better Ishaqzaade (2012), manage to rise above the muck that they are made to wade through. Hamming is one thing - Bollywood actors do it all the time for a living - but hamming aimlessly is quite another. The film's plot devices are shockingly daft. One of the key twists hinges on the hero's supposedly well-connected best pal who becomes his worst enemy after a wedding night showdown and takes it upon himself to repeatedly scuttle the couple's UK visa applications. Namaste England also tries to dish out some comedy but it is all atrociously puerile. This film is proof that at a time when Mumbai filmmakers are in the midst of a purple patch, delivering films like Stree, Manto, Pataakha, AndhaDhun and Tumbbad in quick succession, one part of Bollywood is still stuck in the past. It is unimaginable that anyone in the right mind would treat Namaste England as cinema: it is just the kind of tripe that gives Hindi commercial movies a bad name. This is anything-goes filmmaking in which nothing goes anywhere but downwards. At the halfway mark of Namaste England, the lead pair is in tears. They are outside an airport. The woman is about to catch a flight out of the country. The distraught hero says: "Mujhe bakwaas karne se mat rok warna main ro doonga (Don't stop me from bullshitting or else I will start bawling)." By this point, the film has dumped enough bakwaas upon us already for the audience to be pretty much in a similar state of despair. In the film's penultimate scene, after a rigmarole that has been as edifying as a camel race in a desert, it is the hero once again who addresses the woman who he has chased all the way to England: "Sorry bol deti, itna drama kyun kiya (You should have said sorry. Why did you resort to so much drama)?" That is exactly our question. The makers of Namaste England certainly owe Bollywood fans an apology. 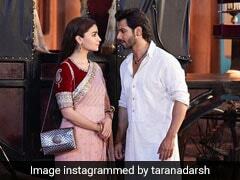 A Punjab farmer's son, Param (Kapoor), falls in love with Jasmeet, a girl from an ultra-conservative family. The latter is ambitious and wants to make it big in life. She travels to Amritsar thrice a week for professional training under the cover of excuses, but her grandfather is firm in the belief that a woman should only be a baby-producing machine. He spouts lines that would have made Nirupa Roy squirm and throw up. Param and Jasmeet get married but not before the former's father assures the latter's grandpa that he will not to let the girl pursue a career. The couple decides to migrate to England is quest of freedom but, the above-mentioned friend, frim in his antagonism, proves to be an insurmountable hurdle. So Param and Jasmeet gravitate towards Gurnaam Singh (Satish Kaushik in a cameo), a shady visa agent who rustles up a crooked plan that separates the twosome. Enter Sam (Aditya Seal), a London Lothario who needs a pure desi wife from good old Punjab to please his nonagenarian dadaji (Vinod Nagpal). The action shifts to England and Param takes a circuitous route as an illegal migrant to reach the land his wife has ended up in. In the process, Param runs into Alisha (Alankrita Sahai), who tries to seduce the hero but figures out quickly enough that he is as cussed as an ox. But no matter what the male protagonist does and how far he gets in his mission, the film itself is beyond salvation. The visa agent warns Param that if he doesn't shape up, he wouldn't get to Bangladesh, let alone the UK, the suggestion being that the neighbouring nation is back of beyond. The dimwits behind Namaste England obviously do not know that Bangladesh is today better off than India on many crucial social and developmental indices and its currency is nearly on par with the tumbling rupee. The all-round stupidity on show is amplified in a second half scene in which the hero launches into a long-winding lecture directed at a British-born desi who asserts that he doesn't like to be identified as an Indian. India, Param claims, has put sent a spacecraft to the Mars orbit for "the price of a rickshaw ride". It is a country, he goes on, that Americans and Brits will queue up to migrate to in 50 years' time. Even if we were to accept his optimism for what it is worth, will Bollywood ever mend its ways when the global tables turn? Seriously, one more film of this quality and the careers of Arjun Kapoor and Parineeti Chopra could be in grave jeopardy. Hopefully, these two young actors know better. And one more movie of this kind and England could well contemplate slamming its doors on Bollywood storytellers. We do not see how the salutation that the film extends could soften the blow that this monstrosity delivers.